The new normal in Philadelphia sports is something to behold, and it stretches well beyond the geographical limits of the city and its surrounding area. It's also penetrated all four of the major professional teams, starting with the Eagles and spreading from there. Most recently, it's been the Phillies, who established a new normal for not only their own franchise, but possibly Major League Baseball as well, when they signed prospect Scott Kingery to a six-year deal. Before even taking a big-league at bat, Kingery is guaranteed $24 million, and that number could expand to $65 million if the Phillies elect to exercise the three additional years of club options. General manager Matt Klentak was the architect of what could very well be a landmark-type contract, one that protects both the team and player, while overcoming the problem of team control over a young player. Sure, the Phillies are gambling that Kingery is the real deal – but that doesn’t seem like much of gamble right now. And on the other side, the player gets an insurance policy of sorts by taking the guaranteed money up front ($24 million in this case), even if that means he could be giving up a whole lot more down the road. It very likely could become a model that many Major League teams use in the future. And, if that is the case, the cast for that new model should say "Made in Philadelphia." The Made-in-Philadelphia model is also likely to be used across the other leagues – the NFL, the NBA and, to a lesser extent, the NHL – as a city with a rich history is quickly becoming one with an incredibly bright future. In the case of the NFL, Eagles general manager Howie Roseman has turned the league topsy-turvy with a sort of wheeling and dealing that has never been seen. The Roseman Plan was rolled out over a year ago, and already it's resulted in the first Super Bowl championship in the franchise’s history. Roseman wisely used the NFL Draft as the safe route to gather talent, which ultimately allowed him to move up to a place where he could draft a franchise quarterback like Carson Wentz. Still not done, Roseman spent last season picking and choosing veterans to join the club with short-term deals. The Eagles are now at the point where they are deciding which of those vets they want to keep, while there appears to be a line out the door of players who want to play in Philadelphia. You can certainly point out that other teams – most notably the New England Patriots – have used a revolving-door approach to signing veteran free agents in the past. However, no team has been as bold as the Eagles have been under Roseman in terms of actually using trades to gather that talent. The days of sitting and waiting for the draft, or for other teams to cut players because of salary cap issues, are over. And it was Roseman and the Eagles who led the way. 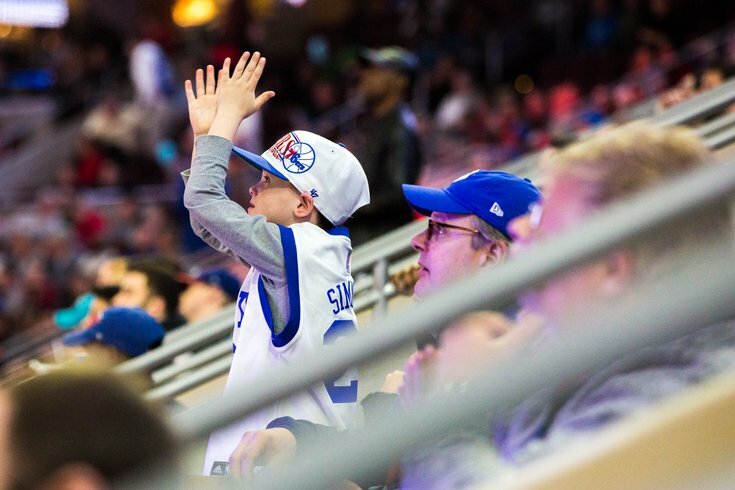 But no team in the city – or across the national sports landscape, for that matter – has done more to change the way business is done than the Sixers. For the first time in six seasons, they're headed to the playoffs. More importantly, they seem headed toward a bright future with a full head of steam, thanks in large part to a Process-powered engine launched by former GM Sam Hinkie, who first pulled the curtain back from the stage of professional sports by so openly admitting winning now was not nearly as important as building for the future. The result: some truly and historically awful campaigns, but also a longterm payoff that is currently on display at the Wells Fargo Center, where the Sixers have lost only one game since Christmas. The sudden reappearance of top draft pick Markelle Fultz on Monday might be only further proof of the plan coming together, a plan that is starting to be copied to varying degrees across many sports. Now, by adding Fultz to a young core that includes Joel Embiid, Ben Simmons, and Dario Saric, the Sixers have become the stock to buy when predicting future success in the NBA. They're also going to be a major headache for whoever they face in the playoffs. As for the Flyers, general manager Ron Hextall has totally abandoned the former philosophy of buying the shiniest toy in the free-agent toy store. Instead, Hextall has decided to install a step-by-step approach to developing young talents, such as defensemen Ivan Provorov, Robert Haag and Shayne Gostisbehere, and forwards Travis Konecny and rookie Nolan Patrick. It is a drastic departure from what the Flyers used to do as a big market team, and when you look at the similar paths now being taken by the New York Rangers, and even the Toronto Maple Leafs, you can see it is a model being used across the NHL. Maybe Hextall didn’t create this blueprint in Philadelphia, but he certainly implemented it in a market where many people believed it could never work. And, as the Flyers head toward the playoffs in the next step of a steady rebuild without trading their future for immediate impact, it seems to be working just fine. It will be rewarding to see both the Sixers and the Flyers in the playoffs, and it will be particularly nice to see a rebirth of baseball at Citizens Bank Park where Klentak’s game plan has allowed Kingery to bring some energy early this season. It's definitely not business as usual, but in Philadelphia these days, general managers are creating new and bold paths to success.